Looking for a quick and easy escape from Fairfield county? Look no further than Delray Sands Resort in sunny Florida. 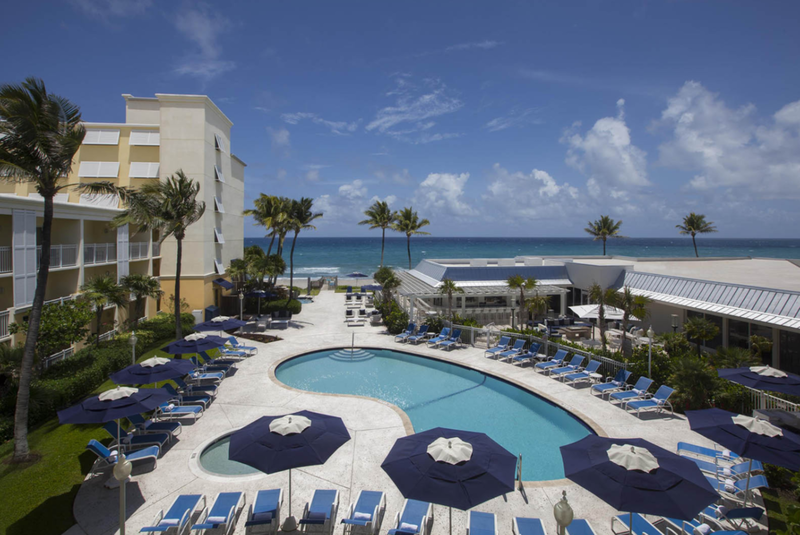 Located between the cities of Boca Raton and Delray Beach, Delray Sands Resort is the perfect trip for any getaway. A boutique hotel, that contains resort style amenities, this resort has a gorgeous oceanfront view that is sure to help you switch gears into vaca mode quickly and easily. 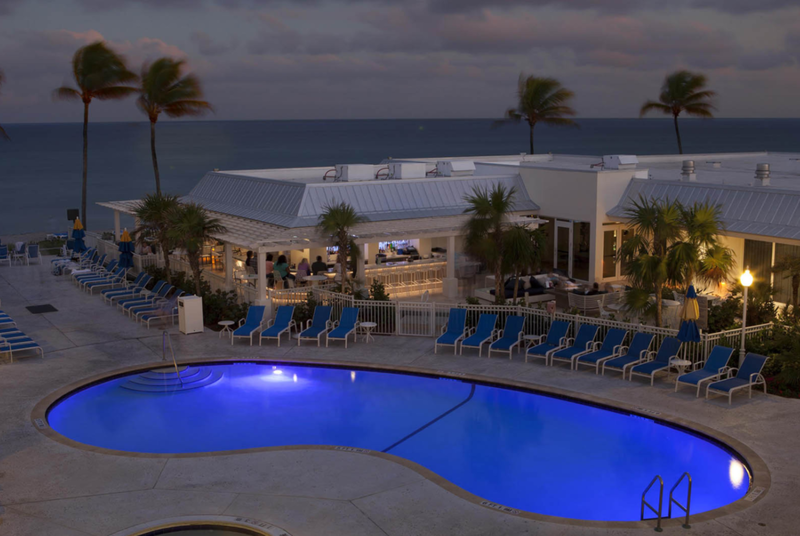 The property overlooks the ocean and 115 rooms feature wonderful amenities making Delray Sands Resort THE place to go for your next trip. Just steps from the beach, this resort has a wonderful waterfall hot-tub and pools to help you destress from your average life. Additionally, the beach has direct access within walking feet of the pool. Not only are you surrounded by beauty at Delray Sands Resort but the staff will treat you like royalty. 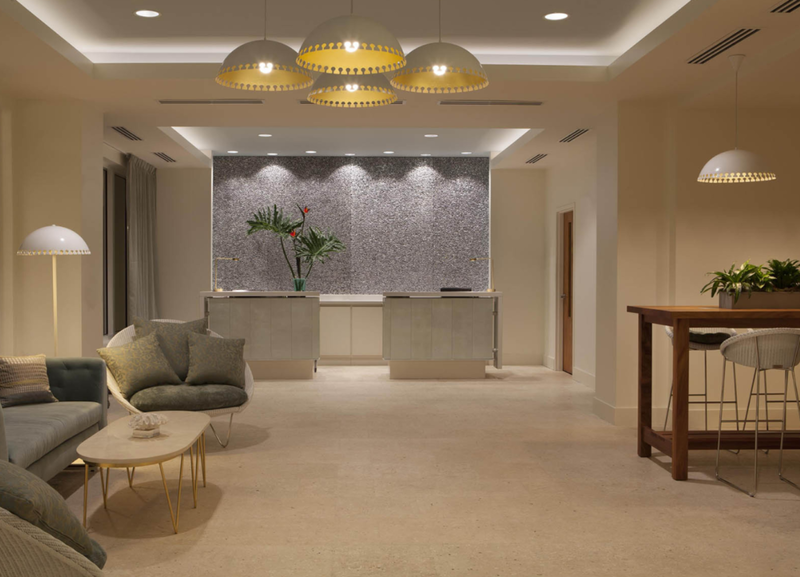 Designed as a destination for those craving a relaxing, sunny vacation, Delray Sands Resort caters to those traveling solo, as a couple, with friends and even with kids. 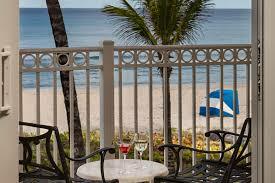 Privacy is an option at Delray Sands Resort with chairs and umbrellas on the house with your stay. All you need to do is walk a few feet from your room and sink your toes into the sandy beaches for this dreamy vacation to take full effect. 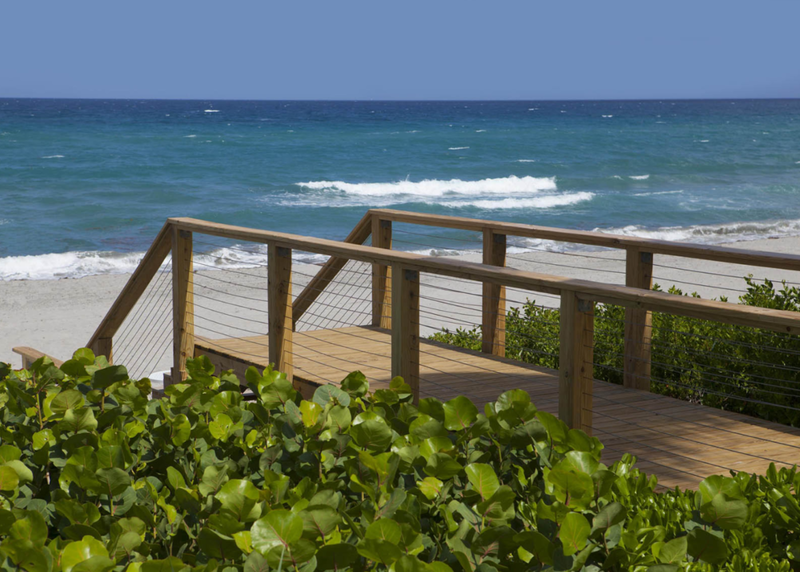 The activities offered at the Delray Sands Resort are also amazing. From the beautiful beach, amenities, uber convenient location and even to the pools, there is no shortage of things to do – did we mention that the resort offers two oceanfront pools for guest use? The tropical pool is surrounded by loungers and is yet again conveniently located steps away from their restaurants. The adults can enjoy this large pool with chair side service from the Wave Pool Bar, while the children’s pool is a few feet away. Kids can feel free to splash around and have fun, all while the adults are enjoying their vacation also. 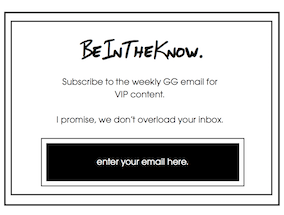 Feel like you need to unwind even more? 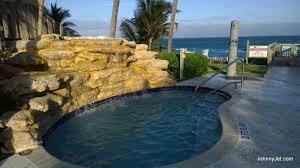 Head over to the outdoor whirlpool and float your stresses away with a seaside breeze and ocean view. Delray Sands Resort makes it easy to work out even though you’re on vacation with a 24-hour fitness center. You’ll find everything you need to get your blood flowing when it comes to breaking a sweat including cardio equipment with individual TVs, strength training machines, free weights and yoga mats. Water and towels are provided. 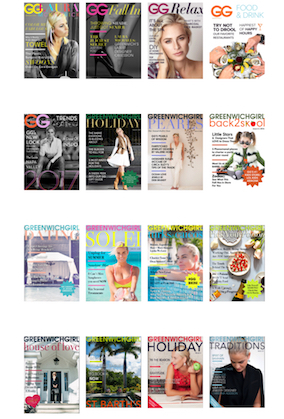 Around the hotel there is also a plethora of activities sure to please the littlest of kids to the pickiest adults. For fresh, oceanfront dining, Delray Sands Resort has got the best restaurant with, what I consider, the best view in all of Delray. Sprawled across a patio just feet away from the ocean and beach the view at Latitudes is just an indulgent as the cuisine. 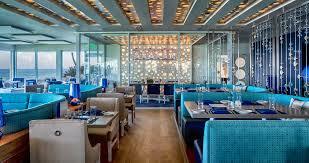 The sea-inspired lounge and restaurant, Latitudes, is the perfect spot to dine, no matter what time of day! With a unique culinary experience and a view only firsthand experience can convey the beauty of, Latitudes is the must go-to place at Delray Sands Resort. 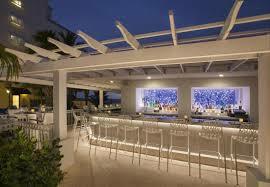 With five distinct dining spaces: outdoor Ocean Terrace, ocean-inspired dining room, the Chef’s Seafood Bar, and the Wave Pool Bar, Latitudes is an amazing place to go for a romantic night out, or for simple chill time with your family and friends. They also offer private rooms for parties of ten or more and have a menu that is focused on fresh ingredients and flavors from the sea, garden and farm. The best part about Latitudes is probably their sunday brunch. Voted Palm Beach’s best brunch, their champagne Sunday brunch is the highlight of the resort and features displays of mouthwatering foods, cocktails and freshly squeezed juices. For fresh cuisine and a 180-degree panoramic view of the Atlantic Ocean head over to Latitudes and be sure to check out their seafood bar. 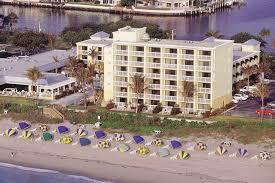 Delray Sands Resort is the perfect spot to go to for a nice getaway. Whether it be a trip with the girlfriends, or even a family vacation Delray Sands Resort has got it all! 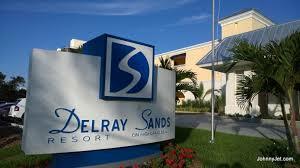 Check out Delray Sands Resort and book your trip now!